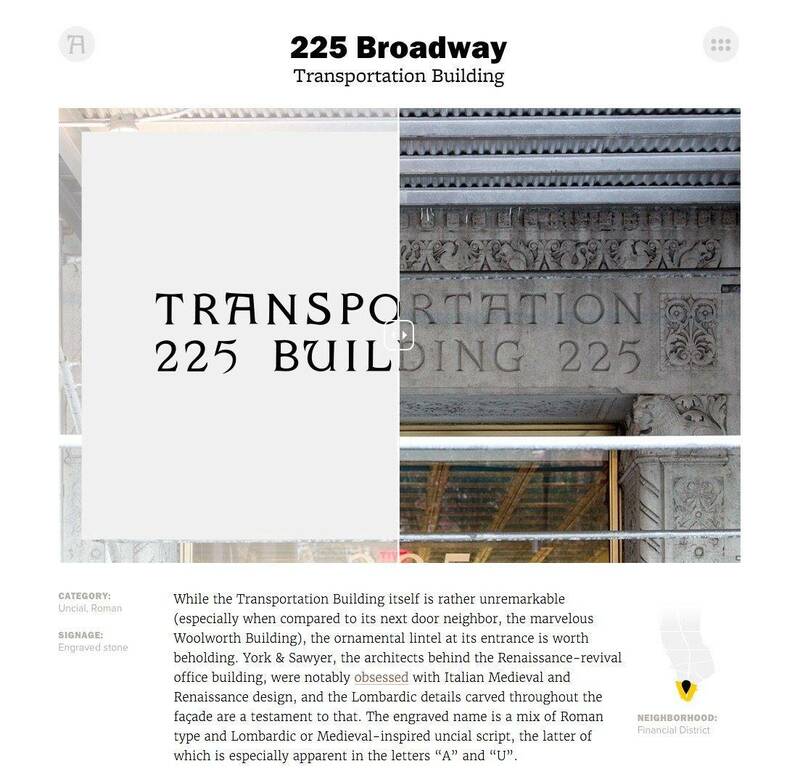 The Typography A to Z of Broadway is quite a remarkable ‘post’—to call it a blog post is really quite a disservice, as it’s more of a legit magazine article; just look at the credits at the end of this post—that takes an in-depth look at the astonishing styles and history of typography that can be found in and around Broadway. I’ve counted 26 examples: each instance (the right hand side) of the Broadway typography has been recreated so one can clearly see the style of typography used. This is fascinating stuff, and even more so if you are within travelling distance of Broadway. 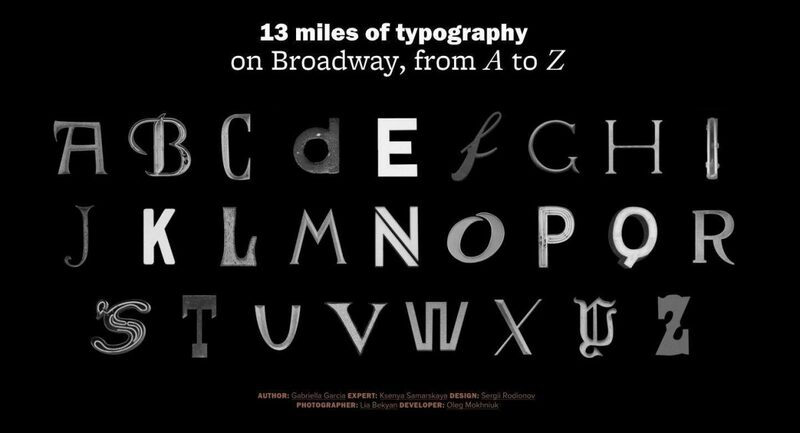 Hopes & Fears: A to Z Typography of Broadway “Broadway is easily America’s most famous thoroughfare. 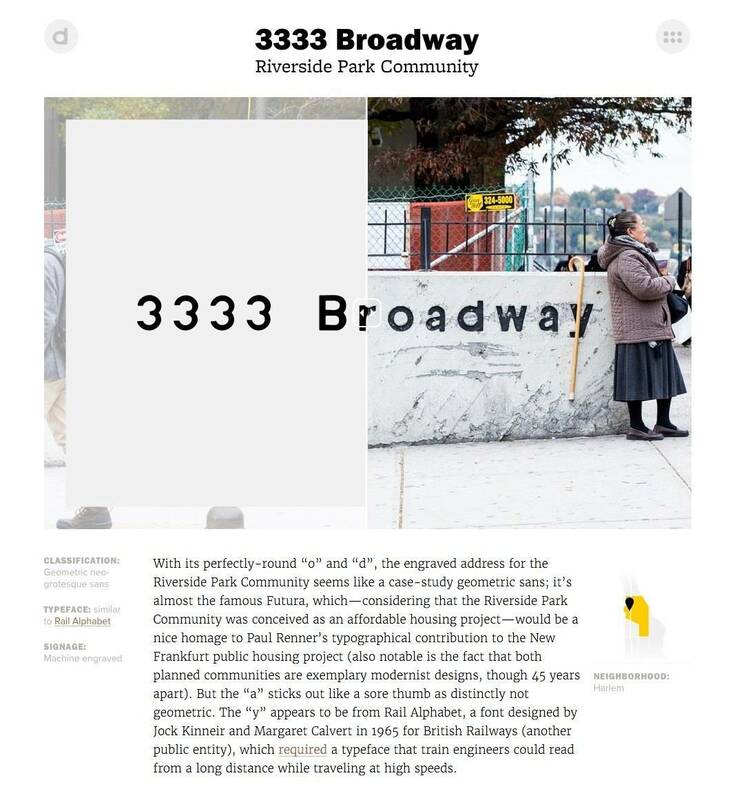 Starting in lower Manhattan at Bowling Green and running the entire length of the island, it strings together some nine to fifteen neighborhoods—depending on who you ask—before bleeding over into the Bronx, serving as a cross-sectional study of the City’s diversity in ethnicity, utility and design. As the Main Street of Manhattan, Broadway exhibits a catalogue of lettering—from neon lights to mom-and-pop shop signs, from theater marquees to building names. 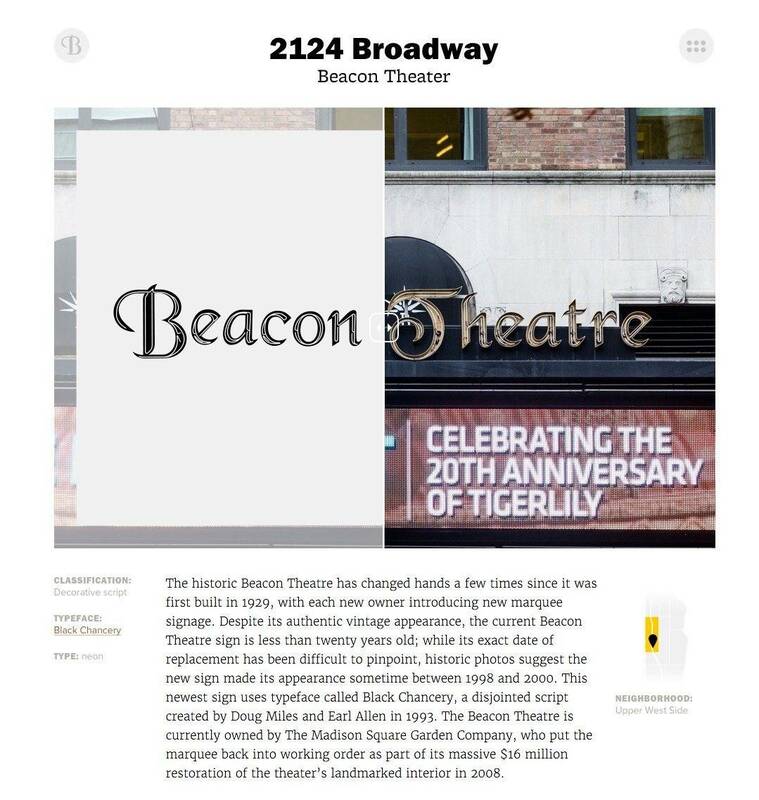 Join Hopes&Fears as we tour the typography of Broadway.